Achieve greater performance and reliability of your system with VCore in control. VCore is a sleek yet powerful controller. This compact device can be programmed quickly to command any kiosk, exhibit area, or subsystem. 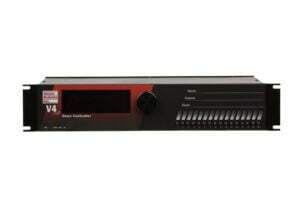 Systems of all sizes need a robust controller to maximize efficiency. 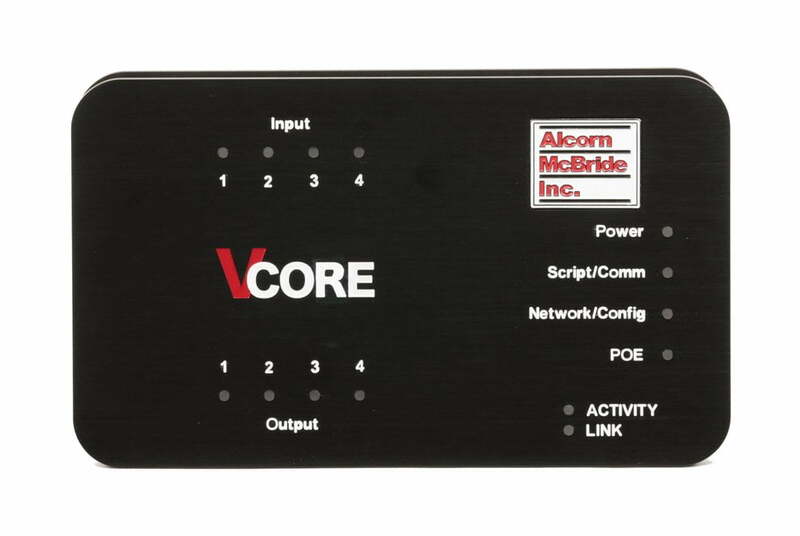 VCore can control up to ten devices and provides the same rock solid performance synonymous with the Alcorn McBride brand. VCore’s form factor is unlike anything on the market. Weighing only three pounds, the sleek looking VCore is compact yet contains many of the high level features of the larger V Series controllers: Ethernet, real-time clock scheduler, incoming message processing, online programming interface, touch panel integration, and much more. Program VCore with Timeline in minutes. Timeline offers a flexible way to program events and supports hundreds of time-based and event-based sequences and hundreds of timelines. 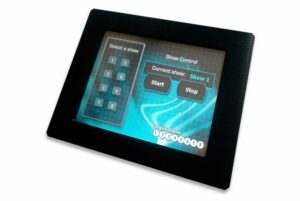 This product also works seamlessly with Touch software to create customizable user interfaces. Touch software runs on ShowTouch hardware, available in 7”, 10”, and 17” models, or any iOS device. Put VCore in command of your system for solid, reliable, superior control that will outlast the life of its application. Our powerful scripting language for designing, testing and downloading your VCore.